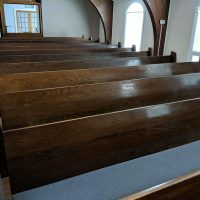 `We are going to chairs and want our pews to find a new home. 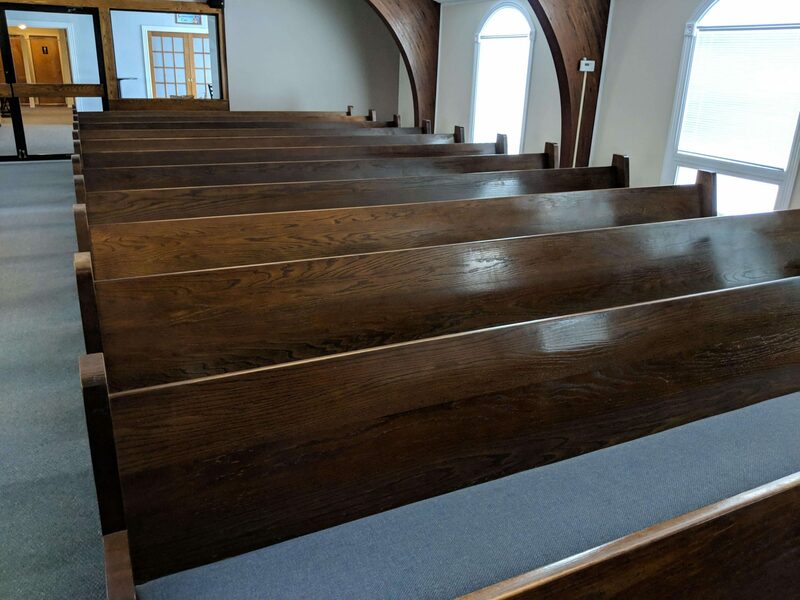 With solid oak, these beautiful pews can be used in a church setting or for other projects. 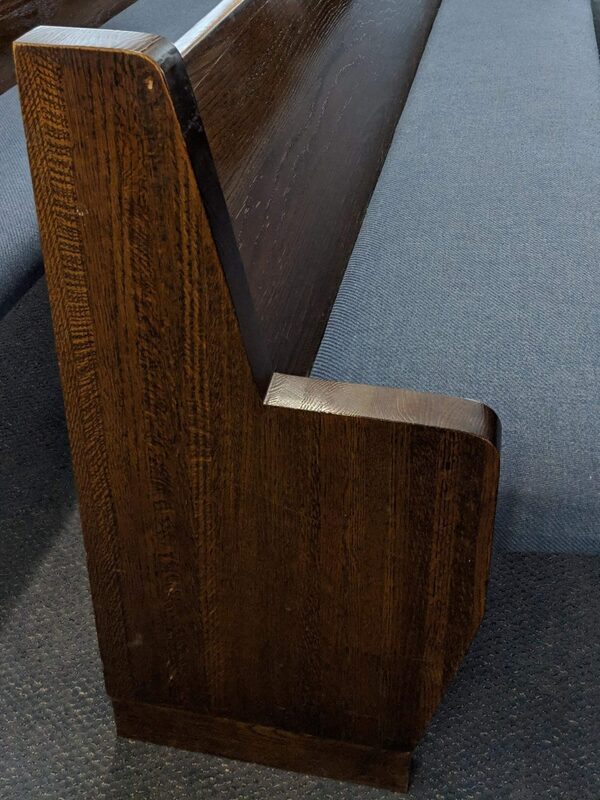 There are book and communion racks on the back of each pew. 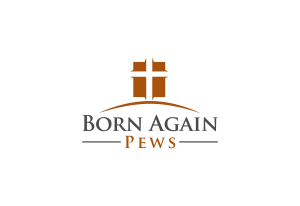 $150 per pew or best offer. We'll give primary consideration to those wanting the whole set.